Do I Need To Know Grammar to teach English? Correct? Or just plain wrong? This question is often asked by new or potential TEFL teachers, especially since many schools in the UK and USA‏‎ do not teach grammar‏‎ as a matter of course and many high school graduates will not know a verb‏‎ from a noun. It’s an important question. Grammar describes how a language works and, since you are teaching that language, you should be able to describe what you are teaching. * Last year my sister go to France on holiday. You know it is wrong and you can tell your student that it is wrong. But what if your student then asks, “Why is it wrong?” How will you answer them? If you know grammar you’ll be able to describe accurately why the utterance‏‎ is wrong and how it can be corrected. Because it happened last year, we need to put the verb in the past: She went to France. Another point is this: many ESL‏‎ schools teach grammar to help their students learn English. Your students will often have a good practical working knowledge of grammatical terminology. 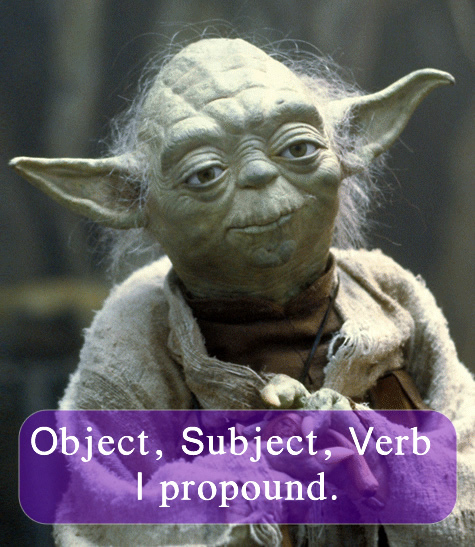 They will be familiar with the parts of speech‏‎ and the different verb tenses‏‎, for example. If you don’t know grammar it can be daunting if, on the first day of class, a student asks you, “Should I use the First Conditional or Second Conditional‏‎ here?” You will feel out of your depth and it could give the impression to the students that although you can speak English, you can’t teach it or explain it. This scenario is not as uncommon as it might seem. Many schools abroad take a more traditional approach to teaching and students are very likely to have been taught the grammar of their own language quite strictly and will transfer that knowledge across to learning English. They often want to know the English grammatical terms for various constructions. Finally, ask yourself this: suppose you visited a builder to talk about a an extension to your house and the builder said, “We’ll use those hard things to build the walls, I can never remember if they’re bricks or blocks.” It wouldn’t inspire much confidence in you. Likewise if your music teacher could never remember the difference between quavers and minims! Being a TEFL teacher isn’t just about turning up and talking English, it’s about knowing the terminology as well. Grammar is a massive subject. There are books and books on it and these range from massive tomes which go into the finest detail about every single aspect of language to slim volumes which outline just a few basics. This is a good start but you need to remember that you don’t need to learn ALL the grammar before you step into a classroom. The bet way is to get the basics (here’s good basic grammar course for this) and then before each lesson you should check over what you are going to teach and make sure that if a student does ask a grammatical question of you then you will be able to answer them. That way you build up your grammar knowledge on a need-to-know basis rather than try to cram all of it into your head in one go! 2 Responses to Do I Need To Know Grammar to teach English? how can I teach grammar in CBA ? Which CBA are you referring to? Is it a place? A college? A board?